These cookies were some of my favorites growing up. 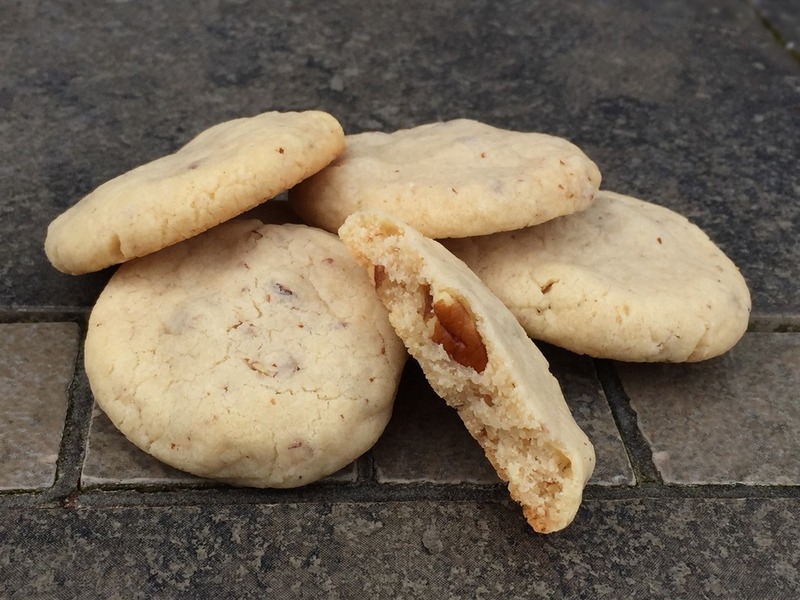 They are a chewy cookie with lots of nuts and a slight tang from the cream cheese. They are also egg-free if you are baking for people with allergies. In a mixing bowl, cream butter and cream cheese. Add sugar and vanilla and beat until light and fluffy. Add flour and salt and beat well. Stir in nuts. Shape dough into 1” balls. Place on prepared baking sheets. Flatten each cookie slightly with the palm of your hand. Bake for 12-14 minutes. Cool 2-3 minutes on baking sheet before removing to wire rack.